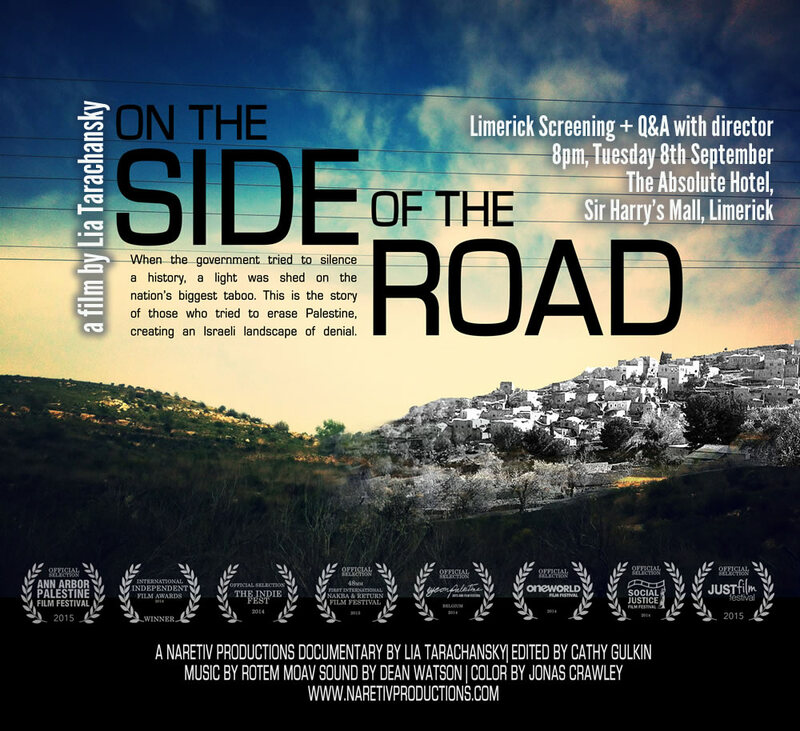 The Ireland-Palestine Solidarity Campaign is proud to host a premiere screening of the award-winning ‘On the Side of the Road’ by Israeli director Lia Tarachansky on Tuesday 8th September 2015, at 8pm in the Absolute Hotel, Sir Harry’s Mall, Limerick. FREE ENTRY but spaces are limited, so please come early to avoid disappointment. The film is a challenging and important documentary about the creation of the Israeli state and the impact this has had both on Palestinians and Israelis. 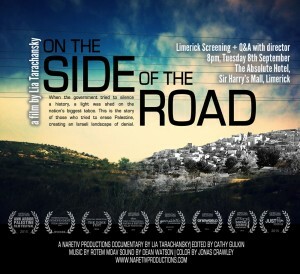 The film will be followed by a discussion between the audience and the director who is touring the film around Ireland. Canadian-Israeli journalist Lia Tarachansky’s first documentary feature film is exploration of the power of denial. The film focuses on Israeli collective denial of the events of 1948 that led to the state’s foundation on the back of ethnic cleansing and the creation of the Palestinian refugee problem. It follows war veterans Tikva Honig-Parnass and Amnon Noiman as they tackle their denial of their actions in the war. The film also tells the story of the director, Lia Tarachansky, an Israeli born in the Soviet Union who grew up in a settlement in the West Bank and who as an adult began to realize the problems of the Israeli Occupation for the Palestinians. The film was shot over the course of five years. Runtime: 82 mins. Hebrew, Arabic & English (with English Subtitles). 2013. Naretiv Productions. Directed by Lia Tarachansky. Lia Tarachansky is the Palestine-Israel correspondent for The Real News Network (TRNN) where she produces short, documentary-style reports exploring the context behind the news. In 2012 Tarachansky produced and co-directed a BBC-Arabic documentary about Israel’s Social Justice (J14) movement and the wave of self-immolations it sparked, in protest of the harsh economic reality many face in Israel. 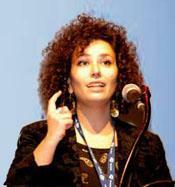 Her work is frequently featured in publications such as +972 Magazine, Mondoweiss, USA Today, Al Jazeera, and the Huffington Post; and her journalism was profiled in the renowned Max Blumenthal book, Goliath: Life and Loathing in Greater Israel. Her website is here. Organised by the Limerick branch of the Ireland-Palestine Solidarity Campaign.